Back to school is here and getting organized is essential. This year my toddler will be starting preschool so managing a home business, a toddler, and a newborn can be overwhelming. I love using planners but I always find they don’t suit my needs; so why not make one! 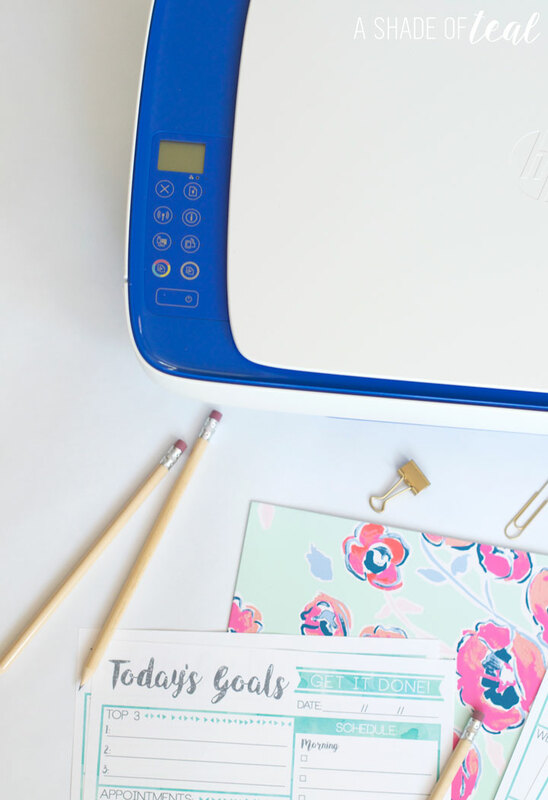 I was especially excited to make the printables because I wanted to test out my new HP DeskJet 3636 Printer. The price is too good to be true for all the features it comes with. I purchased mine at Walmart; you can find it in the computer and electronics aisle. The HP DeskJet 3636 is new and is a all-in-one printer. 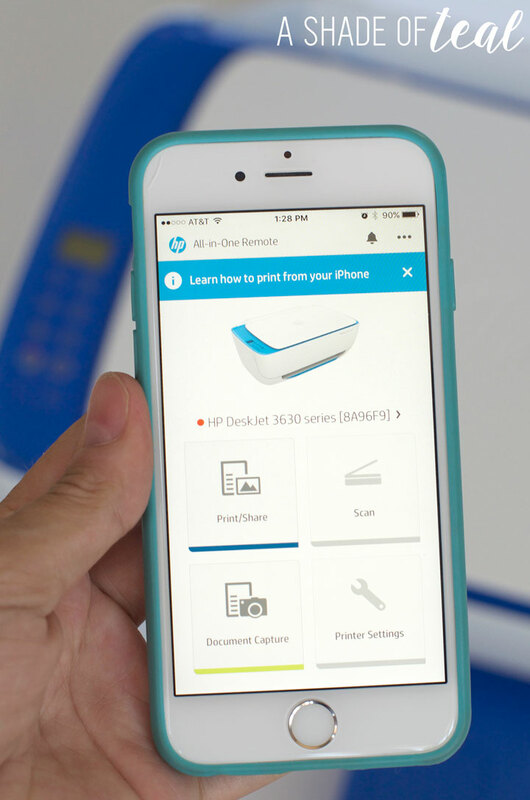 You can stay connected with the easiest way to print from your smartphone or tablet. You can start printing, scanning, and copying right out of the box! Setting up the printer was so easy and I was ready to print within 10 minutes. The display panel features simple icons for controlling print, scan, and copy functions. You can print in any room you choose, without causing disruptions. It also comes in 3 fun colors, as you can see I picked up the Dragonfly Blue. I think my favorite feature it the ability to print from my phone or tablet. Just download the app, connect, and start printing. The app is incredibly easy to navigate and use. 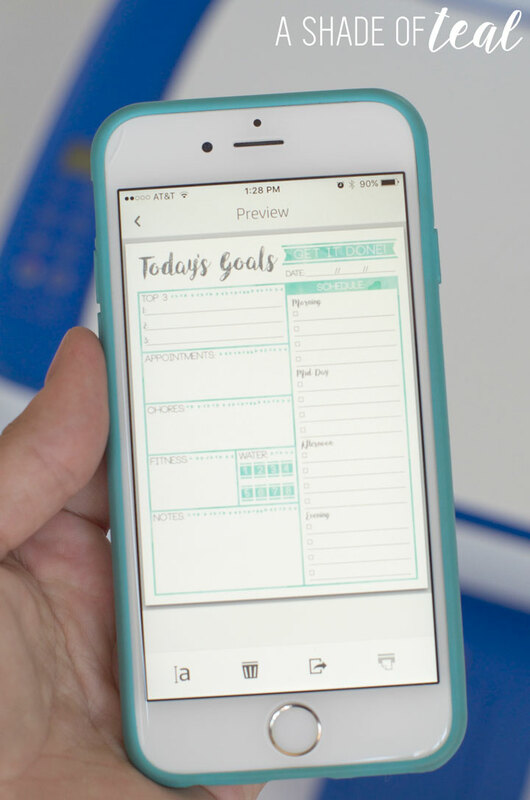 To print I just opened my weekly planner and goal’s printable from my phone and clicked print! So easy! 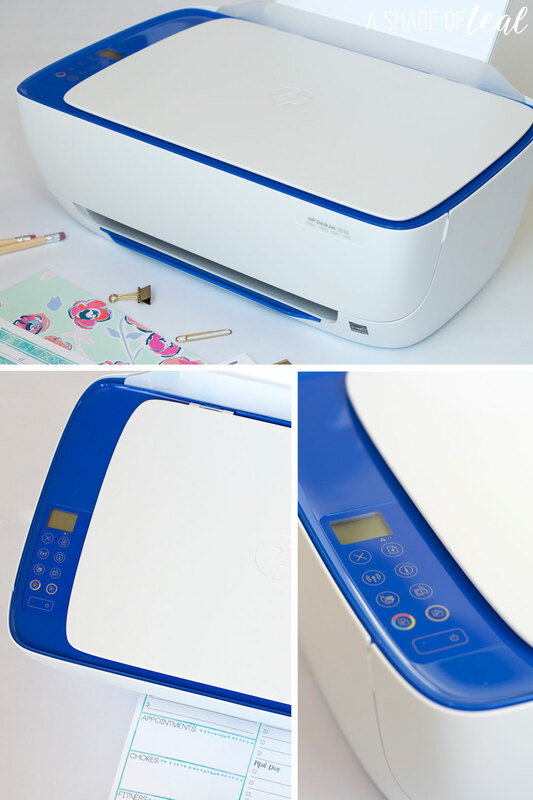 With this printer you’ll get high-quality prints time after time. I love how my new printable’s came out. I made a Weekly Planner along with a daily Goal planner. Both help me stay on track with my busy schedule. 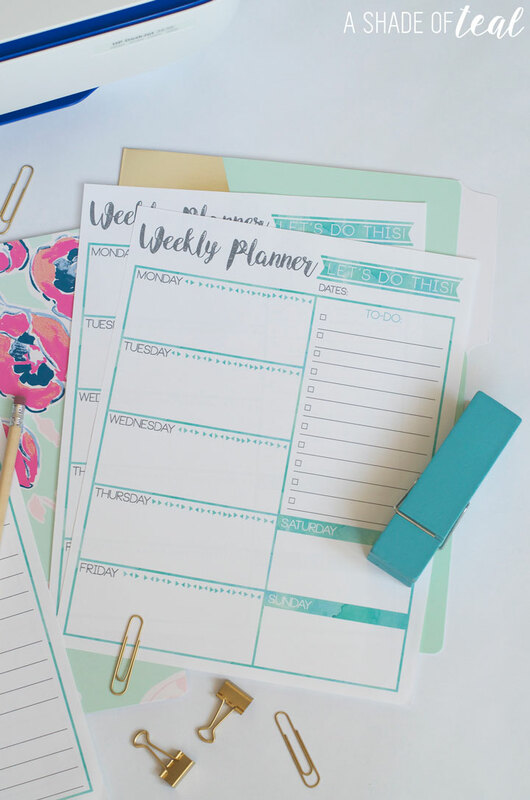 The weekly planner lets you plan out your days with an extra section for notes. The Daily goal planner breaks down your day with “top 3” tasks, appointments, chores, and much more. 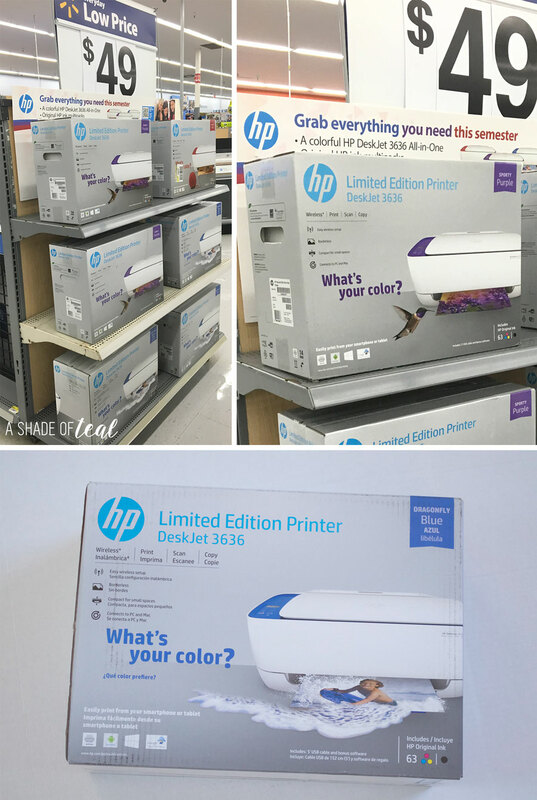 So if your in need of some Back to School organizing then I definitely recommend this HP DeskJet 3636 printer along with my printables. This printer will become part of your everyday life, I’ve already found something to print every day since owning it. For some reason printing from my phone is so much fun! What keeps you organized this back to school season? Do you have a favorite planner or organizer? Leave me a comment. 5 tips to Create the Perfect Baby Registry! That is a good price for a printer. I need to make a new planner so this is good. I so need this when it comes to getting out and exercising. Maybe I’ll print it off. What a cute planner. I bet my daughter would like it for her school binder as well. That printer looks nice. I wouldnt mind having that. Those printables are so cute. It helps a lot of planitication. How adorable are these weekly planners! I always make sure that I have a schedule rolled out before the week starts so that I know how the whole week will turn out. These printables are going to be a nice addition to my planner. I like to print these. Nice weekly planner, I love setting my goals for the week. 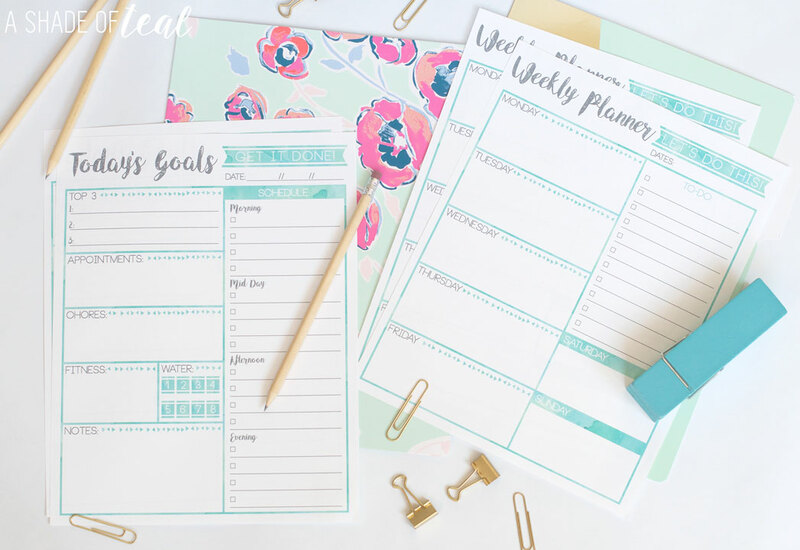 These are cute weekly planner goals printables! I will print it to remind me of my weekly goals. I really like how you set up that printable! It’s designed so well, and the printer did a great job making it. Oh my goodness! I absolutely love the weekly planner pages! My color printer broke a few years back and I’ve never seen a need to replace it (until now!). Your printer is awesome! I want a printables like this! This is so cute and I think I need this for my everyday task. I love the sound and look of this HP printer. And your printables are awesome! I love the printer and the printables that you show! 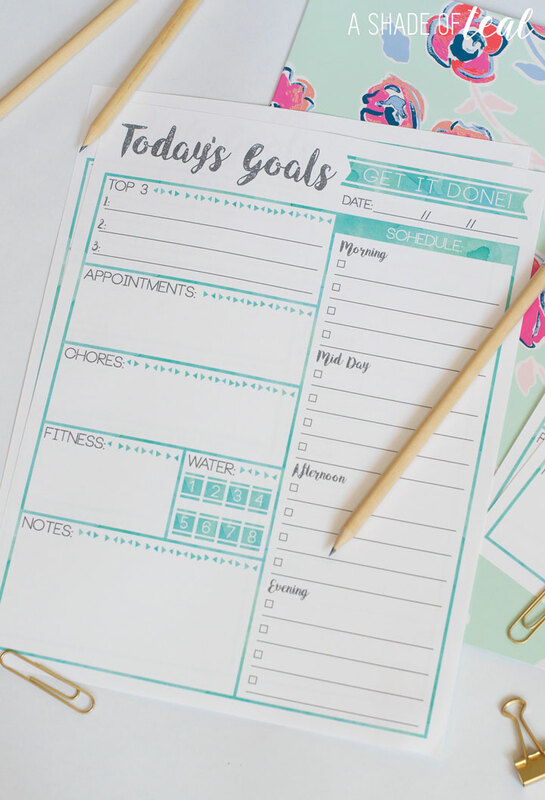 The printable are super cute and seems to be great for getting organized. I really like this printer. We need a new one, too! Thanks – I will check it out! I love the printer and the printable. A good weekly planner is a necessity in my life. I love the cute planner printables. I’m currently using a store-bought planner to keep track of my blogging work. Thank you for these planner pages. I love teal and aqua—these colors are peaceful and energizing at the same time. I like the watercolor wash and font you chose. Printed the daily planning page to use every day this week. I use the happy planner but I think having a full size page to focus me each day will be great!